Water used to be free. Actually, it still is. I remember when I first saw bottled water for sale. It seemed like the most inane thing ever. Why would anyone actually pay money for water when it could be found for free at home or at water fountains? When I was in grade school, we would all line up at the water fountain after coming back inside from running around during recess. I’m pretty sure we all turned out (mostly) ok. When presented with choosing between a bottle of Coke, juice, or water at a vending machine, the younger me would have chose anything but the water without a second thought. 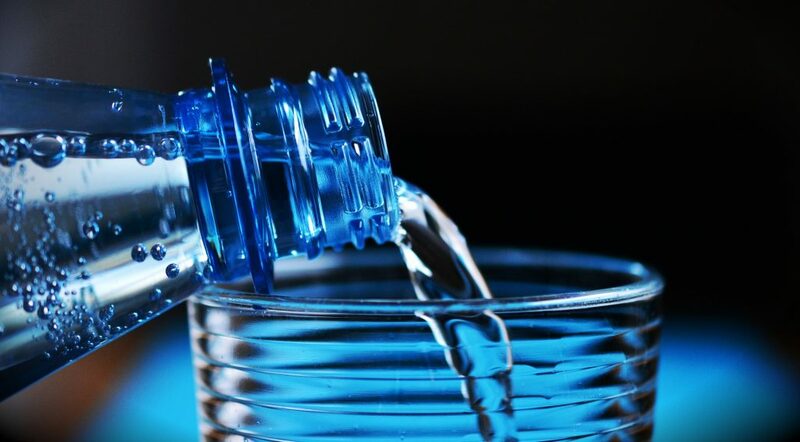 Little will I know, by 2016 the U.S. bottled water industry will sell $16 billion in water and bottled water will become the most popular bottled beverage. Now 23 cents a bottle or spending almost $1 a day on water doesn’t seem too expensive. There are some places in the world where people don’t even have access to clean drinking water. Spending a quarter for something as important as water seems like a worthwhile expense. But lets compare the cost of bottled water to tap water. In my city, drinking bottled water exclusively costs 88x more than water from the faucet. If we did not consider in the cost of sewage and just the cost of water itself, tap water would be even cheaper. Why Is Bottled Water So Popular? Bottled water comes in easy-to-carry packaging for our busy lifestyles. I can say right now, I have a bottle of water sitting in my car’s cup holder. Unlike juice, coffee, or sodas, it is also easy to clean up when I hit a pothole and spill it all over myself while trying to get a sip while driving. Instead of having to go looking for a water fountain when we are thirsty, it is extremely easy to grab a cold bottle of water from a vending machine or convenience store and bring it with us. In times of need such as after Hurricane Harvey or Irma, distributing fresh, clean water to the people affected is much easier due to the portable and recyclable nature of plastic bottles. Another reason why people say they buy bottled water is because it tastes better. I’m mean, it doesn’t taste like anything, which is how we expect water to taste. When I was living in California, the tap water there tasted like minerals due to the increased algae in the public water from the drought. Since it was still perfectly safe to drink and it would have been costly to remove the taste from the water, California’s water utilities opted not to remedy the situation. Bottled water companies like to promote the freshness and purity of their water by showing images of snow-covered mountaintops, vivid blue springs, lush green valleys, and bright icy glaciers when in some cases, it’s actually the same stuff that is coming out of your faucet. According to Mother Jones, 55% of bottled water in the United States is spring water, and the other 45% is from the municipal water supply. Two of the biggest selling water brands, Aquafina and Dasani, are actually refiltered water from local water supplies as displayed on their websites and the labels states the water had gone through additional purification through reverse osmosis. People also say they prefer bottled water over tap water because they believed that it is healthier or safer since bottled water goes through a purification process that removes contaminates before it is bottled. The contamination of the municipal water supply in Flint, Michigan comes to mind of what could happen with public water when government that is in charge of the water supply tries to save money. Even now, when the crisis is over and lead levels are back to normal, Flint is still in the news because of the long-term effects of lead on children and unborn babies. What most people don’t know is that tap water is held to higher quality standards than bottled water. Tap water is regulated by the EPA and the Safe Water Drinking Act sets standards for drinking water quality and regulates the amount of allowable contaminants in our water supply. Each year by July 1st, your local water supplier is required to provide a Consumer Confidence Report that lets people know what is in their water. This annual quality report contains information on what contaminants if any, are in your drinking water and how they may affect your health. Bottled water on the other hand, is regulated by the FDA under less stringent safety and consumer protections. Testing of 10 major brands of bottled water by the Environmental Working Group (EWG) found traces of disinfection byproducts, fertilizer residue, and pain medication. In some cases, the levels of contaminants in the bottled water were no different than what was found in tap water. Two brands had levels of chemicals that exceeded the legal limits in California, and four were contaminated with bacteria. If bottled water is not much healthier or tastes much different than tap water, yet costs many times more expensive than tap water, and in some cases comes from the exact same sources, what should you do? The EWG recommends that consumers should drink filtered tap water instead of bottled water. By using a carbon filter such as a Brita Water Pitcher, which costs $35 on Amazon, you can filter 40 gallons of water before needing to replace the filter. The Brita replacement water filters costs $15 for a pack of 3. Your initial cost of the pitcher, which comes with one filter included, plus 4 additional filters, will allow you to filter all your drinking water needs for your first year for about $60, which includes the tap water. This is a savings of $275 from buying only bottled water. Subsequent year’s drinking water costs will be $30 for replacing 5 filters and refilling with tap water. To make carrying your own filtered tap water when you are away from home or out hiking in the wilderness, you can invest in a reusable water bottle. Many businesses give them away for free as a promotional item or you can purchase something like this Summit Water Bottle that is stainless steel and vacuum insulated to keep whatever you have inside hot or cold. It is estimated that over 80% of single-use plastic water bottles used in the U.S. end up as litter. Of the 50 billion plastic water bottles used by Americans last year, 38 billion will end up in landfills, in the oceans, or as trash in the forests and on the sides of our streets. By using a reusable bottle, you are also reducing your impact on the environment. Drinking from and reusing plastic water bottles should be perfectly safe. Some people believe that reusing PET plastic might result in releasing of harmful substances such as BPA into whatever is stored in it. Testing by the FDA and other world health-safety agencies have found no such substances in new or re-used bottles even when left in the sun or inside a hot car. The major concern of reusing your disposable plastic water bottle is actually bacteria from your mouth. It might not be worth the time and trouble to clean a plastic bottle that is intended to be recycled afterwards, especially with the narrow necks on Dasani and Aquafina bottles. Reusable plastic and stainless steel water bottles with bigger openings allow you to clean inside them easier with soap and bottle brushes and they can be placed in the dishwasher for sanitization. If you want to go a step further and filter the water that comes out of your kitchen faucet for cooking and washing vegetables, you can purchase a faucet mounted filter for your sink. There are even filtered shower heads available for your bathroom.